The first in an epic two-book saga by beloved author Francine Rivers, this sweeping story explores the complicated relationships between mothers and daughters over several generations. Near the turn of the 20th century, fiery Marta leaves Switzerland determined to find life on her own terms. Her journey takes her through Europe and finally lands her with children and husband in tow in the central valley of California. Marta's experiences convince her that only the strong survive. Hildie, Marta's oldest daughter, has a heart to serve others, and her calling as a nurse gives her independence, if not the respect of her mother. Amid the drama of WWII, Hildie marries and begins a family of her own. She wants her daughter never to doubt her love-but the challenges of life conspire against her vow. Each woman is forced to confront her faulty but well-meaning desire to help her daughter find her God-given place in the world. 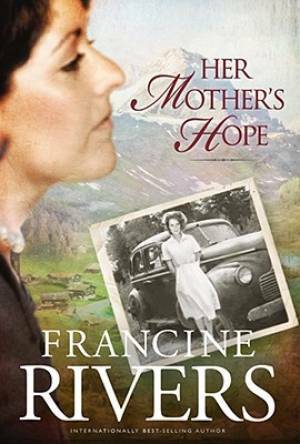 Her Mothers Hope by Francine Rivers was published by Tyndale House Publishers in March 2010 and is our 51260th best seller. The ISBN for Her Mothers Hope is 9781414318639.